The 3rd RS Aero World Championships is set to enjoy the Australian summer as a climatic end to the 2019 season, set over New Year at Black Rock YC, Melbourne. The two previous World Championships started out with 100 RS Aeros at Carnac, France, in 2017 and then doubled in size to over 200 RS Aeros at Weymouth, UK, in 2018. The first southern hemisphere worlds recognises the rapidly growing Australian RS Aero fleet and makes an exciting step for the International Class. The World Championships will take place between 28th December 2019 and 4th January with the 28th and 29th reserved for training and registration. A lay day is scheduled for New Year’s Day for some mid championship rest and relaxation, taking in the local sights! A large charter fleet of some sixty RS Aeros will be available with the support of RS Sailing and Sailing Raceboats of Australia and charter RS Aeros are now available for booking. International visitors can book charters via RS Sailing and Australian charterers can book via Sailing Raceboats Australia. Black Rock YC are used to holding large championships, hosting both the Australian OK and Finn Championships consecutively earlier this month. 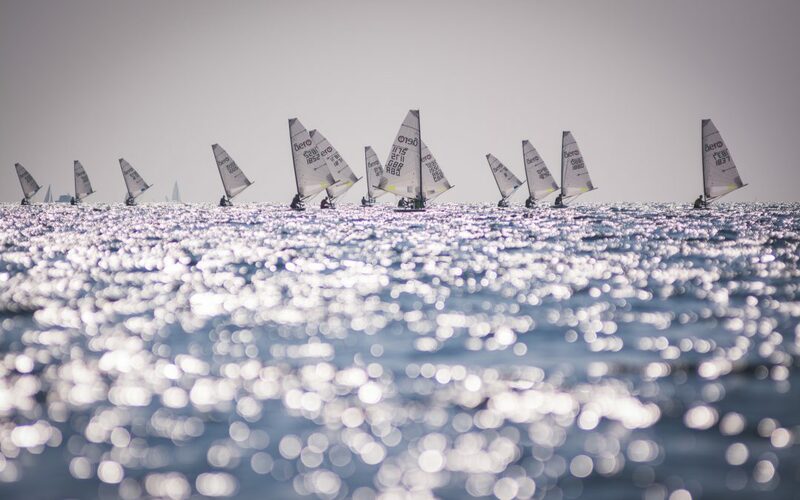 World Championships are regularly hosted at the club including several OK Worlds and Finn Gold Cups in recent years. Situated in the picturesque Half Moon Bay there is a sheltered beach for launching that is ideal for families to relax in the sun. The Cerberus Beach House Cafe next door offers both fine dining and take away fish and chips – take your pick! The racing on Port Phillip Bay is world class. A good variety of racing conditions is likely with a range of both wind strength and sea state. Sea breezes can build through the day and the size of the bay allows a good swell to build up – perfect for surfing those RS Aeros! In April 2017 the RS Aero Australian National Championships were hosted at Black Rock and the conditions delivered in spades! Click here for their video as a taster! Melbourne International Airport is nearby with a large selection of flights. A good range of accommodation is available with AirBnBs, local hotels and the possibility of billeting with club members. The Notice of Race and online entry will be available in February via the Event Page on the RS Aero Class website. Keep an eye there for further updates. Further tourism information can be found at by clicking here.